Lemon grass produces an essential oil called citral in the bulbous stems located just above the root section. 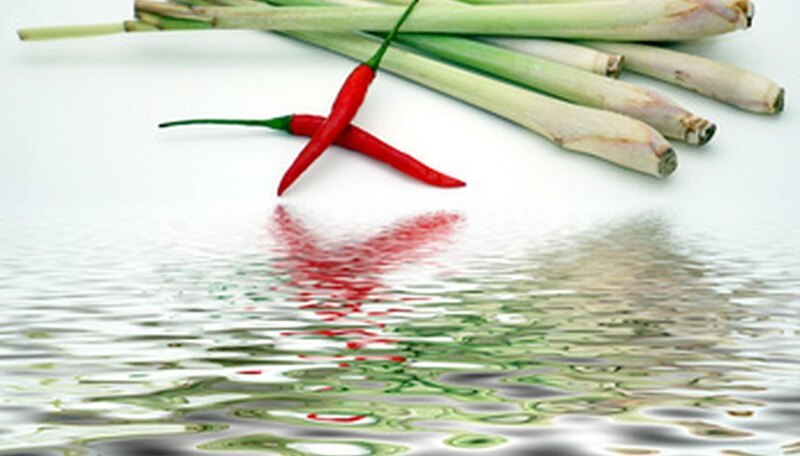 Citral is used for cosmetics, cooking and industrial applications. Although USA and Europe are the biggest consumers of lemon grass essential oil, most of it is produced in India. It grows best in warm, humid climates. East Indian lemon grass is generally considered to have a higher essential oil content than Northern or Western types of lemon grass, but newer hybrid and crosses have blurred that distinction in recent years. The Sugandhi variety of lemon grass is adaptable to a wide range of soils and has the highest oil content. This red-stemmed variety of lemon grass comes from East India. The Pragati variety of lemon grass is a tall-growing variety. It has a dark purple sheaf that grows around the oil-containing, bulbous stems located at the base of the plant near the ground level. It does not have as high of an oil content as Sugandhi, and it is more adapted to the Northern India Plains. It is also considered an East Indian variety of lemon grass. The Jama Rosa variety of lemon grass is a hardy and slightly more cold-tolerant variety of lemon grass that has vigorous growth. Because it grows more rapidly that other varieties, you can cut it several times for harvest during a 16 to 18 month growth period. Jama Rosa is a hybrid cross between several different species of lemon grass. The Praman variety of lemon grass has a high oil content and is a medium-sized plant compared to the other varieties. The leaves or growth habit of the grass is erect or upright compared to other varieties of lemon grass. Praman is a Northern lemon grass variety.